Want to grow your reputation and attract new clients? 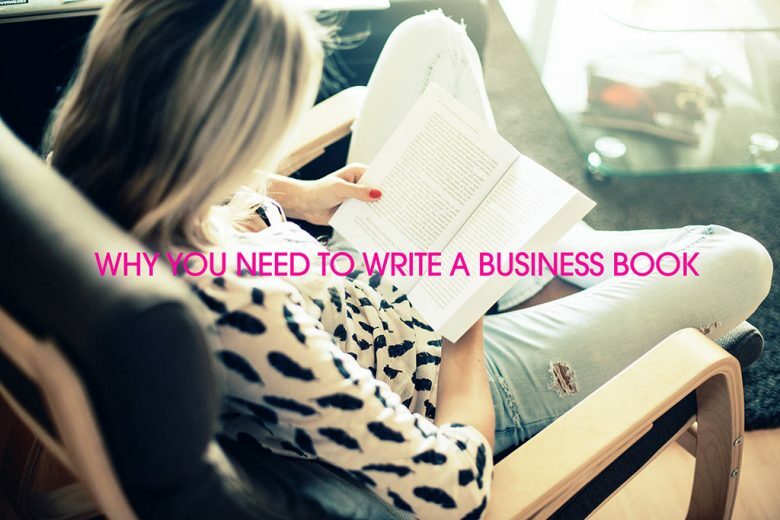 Learn why writing a business book can help – and the dos and don’ts of becoming a successful business author. Ginny Carter, The Author Maker, explains why she believes that now is the perfect time to write a business book, and what to do (and avoid). If you’re a coach, a consultant or a speaker – in other words, an expert at what you do – you may have heard that a business book is the thing to have. And you’re not alone. From talking to countless people in your shoes recently, I’ve found that becoming an author is one of the top three goals for every serious expert right now – and justifiably so. Here are four reasons why. Imagine the scene. You’re at a networking event and get chatting with someone who’s interested in working with you. However, they’re a bit hesitant about the cost and have other options in mind. Then you mention your book and their attitude changes. You know so much about your subject you wrote a whole book on it? You must know your stuff! Being the author of a published book gives you credibility and status. It’s like stepping onto a podium, without having to leave the limelight when the lights go down; your book is always there to highlight your skills. I’ll be honest – you’re unlikely to make money directly from the sales of your book. But that doesn’t matter, because it’s what your book says about you that brings in the cash. Your clients want the best, and nothing says ‘quality’ like having a book which gets across your big message in a persuasive way. Now you’ve got a steady flow of new work coming from your book, you can raise your rates. It’s not all about the money. How many more people could you reach if your book was found on Amazon and other retailers? By having a business book, you’re spreading your words so much more widely than you could with your existing marketing activity. The biggie! Through promoting your book, you come to the notice of contacts in the media. They ask you for an interview, and before you know it you’ve got people – already impressed by the fact you have an insightful book – knocking on your door to work with you. New, top quality clients and business partners are now part of your life! So how can you write a book? Don’t worry, it’s easier than you think if you follow my simple dos and don’ts. I’ll start with the don’ts. Don’t rush into the writing without doing any planning first. Your words will flow so much more easily if you have a detailed book outline before you begin. Otherwise you run the risk of getting stuck half way through, and giving up (eek!). Don’t ignore the needs of your business. Your book needs to bring clients and opportunities to you as a business, so the audience it’s written for and the topic it’s on need to fit with what you already do. Don’t worry about not being a good writer just because you got a C minus in your essays at school. Focus instead on writing how you speak – I bet you’re fantastic at talking to your clients. Do get some help. A book writing coach can make all the difference between a mediocre book and a brilliant one. They’ll make sure you’re writing on the right topic, give you help with your word craft, and keep you on track so you finish on time. They can also put you in touch with publishers and help you get your book out there in a big way. Do start now instead of putting it off. Whether it’s jotting down some thoughts each day, or writing a few hundred words a week, you’ll get there if you begin early and keep going regularly. The best writers do a little every day. Do be crystal clear on who you want to help, what your book’s big message is, and how you’re going to deliver it. When you know all this, your words will flow with ease. Are you inspired to write your book now? Can you see how it could help your business, and what you’d need to get started? Many, many business people write books each year – could you be one of them? Ginny Carter, The Author Maker, is a business book ghostwriter and book writing coach. She’s on a mission to turn coaches and experts from aspiring authors to actual authors with the credibility to charge more for what they do. Do you want to get seen, heard and hired with your own book? Claim your free guide How to Stand Out as an Expert With Your Own Book now.